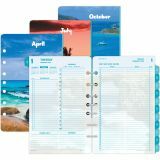 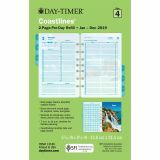 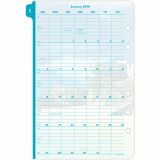 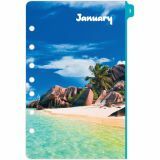 Day-Timer Coastlines 2PPD Planner Refill - Refill for the Coastlines edition features each day on dated two-page spreads with soothing seaside photos. 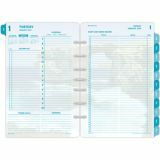 Each scene is subtly ghosted for legible notes. 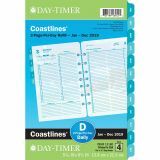 Refill includes 12 monthly tabbed dividers, extra-long to-do list and daily appointment times from 7 AM to 11 PM, plus a place to list your phone calls. 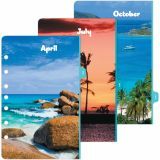 Loose-leaf calendar pages range 12 months from January to December. Refill includes a set of address/phone pages, advance planning calendar, expense forms, useful reference sheets and coordinating page locator.